Comments of Consumers Union and US PIRG to Dept. 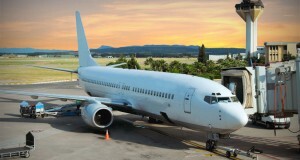 of Transportation re ensuring access to reliable airline flight information. Consumers Union submitted the attached comments to the U.S. Department of Transportation in response to the Department’s Request for Information. We support and encourage the Department’s examination of how airlines distribute information pertinent to marketing their flights, including how airline fares and fees—as well as flight schedules and availability—are presented to consumers.